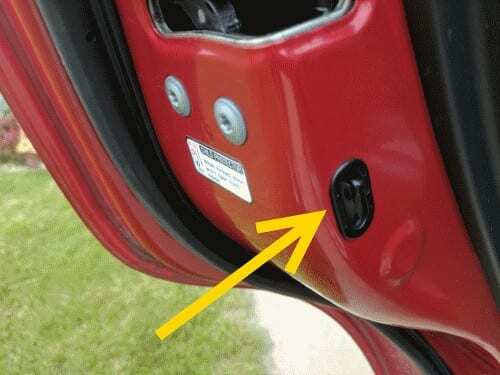 The child safety lock feature found to Toyota vehicles such as the Corolla, Camry, and RAV prevents the rear doors from being opened from the inside. You can enable or disable this feature with these steps. Look on the inside edge of the door for a small switch. Flip the switch up to disable child safety locks. Flip it down to enable child safety locks.